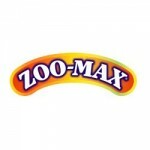 Zoo-Max is a Canadian based company who have been manufacturing premium quality parrot toys since 1994. Their toys are now sold all around the world. All materials used in their toys are sourced locally and are non-toxic.